Some Days are Diamonds ! The night was hot with the north winds of Summer blowing from the inland deserts of Southern Australia but they had abated when the alarm clock kicked me out of bed an hour ago. There is a stillness to the morning with no movement to disturb the left over heat from yesterday. The moon has long gone and it’s dark as I plod down the beach ramp pulling my “My Sun” sea kayak on it trolley. I can see a ribbon of white at the waters edge and know that the shorebreak will be manageable this morning, at least until the tide starts it’s race inwards. Out of the darkness appears Steve who already has his kayak on the beach and is geared up and ready to go. I swear this guy doesn’t sleep. We quickly gear up and launch as the sky brightens with the first rays of sun still over the horizon. We are on our way on another “Diamond Day” and will see the sunrise from the water. The sun peeks over the hills and burns away the wispy clouds of night and brings with it a light breeze that is just enough to ripple the clear water. We wander our way along the coast, first visiting our favourite reef areas and then heading further along the coast, enjoying the views towards the southern cliff lines. As predicted the wind has increased a little in the last hour and there is now a definite chop on the water as we head back home catching a few runners on the way. We easily negotiate our way through the dumping shorebreak and slide up on the beach, all smiles. Another “Diamond Day” has begun and we have enjoyed it from a magnificent vantage point. But sometimes that “Diamond Day” can lose it’s sparkle, leaving you with severe case of sandy bum. 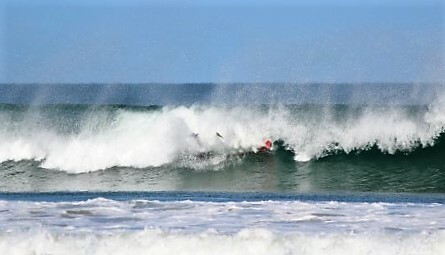 The shorebreak can be savage at times and the sea kayak sometimes has a mind of it’s own. You pick up a wave out the back which immediately doubles in size and peaks menacingly over your head. You throw yourself into a brace as it slams down with a deafening boom. Then it all goes all watery as you are spat out, rolled and rocketed towards the shore in knee deep sand filled water. Well at least you’re back on shore; upside down in a few inches of water maybe, but still you made it. Autumn is here and that’s the perfect time for early morning paddles with a friend. March has calmer winds and you just add another layer of clothing before heading out and of course there’s never a shorebreak in Autumn. If you’re looking for an early morning paddle then Steve’s the man in Adelaide. 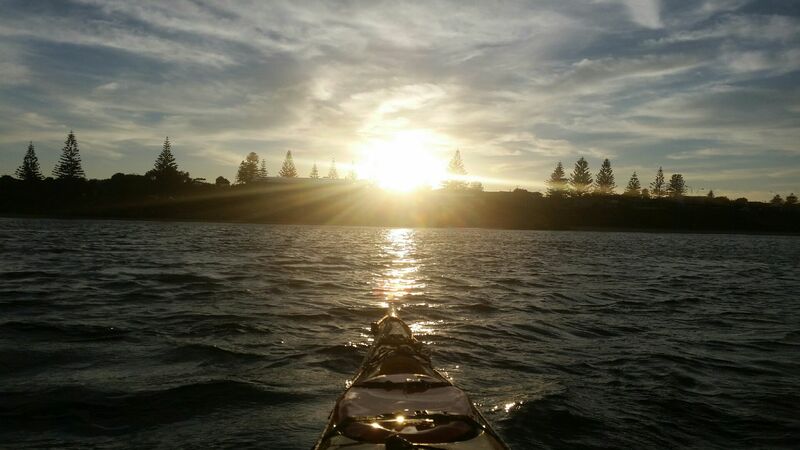 This entry was posted in sea kayak day paddles. Bookmark the permalink. I love reading about your adventures, having stumbled across your blog about a year ago, as I was looking for info on surf kayaks. I’m on ocean beach San Fran, new to kayaking, and too old to learn new tricks, but trying anyway. Thanks for the inspiration guys! Lovely write up, inspiring me to a dawn outing! Enticing dialog in accord with A. Pope of old. 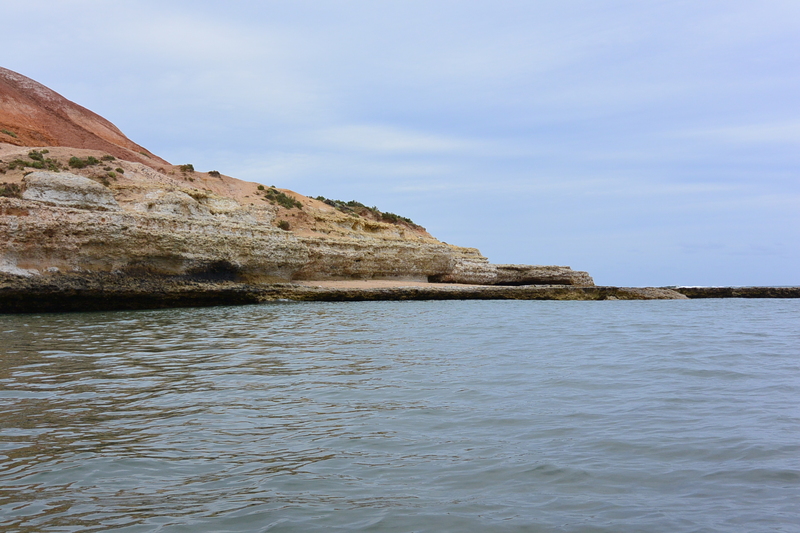 Great pictures, super fun, pristine waters of South Australia. Looking forward to time on the ocean waves. I love waves, but I must admit that first wave picture is a bit terrifying. I love when water looks like sparkling diamonds.